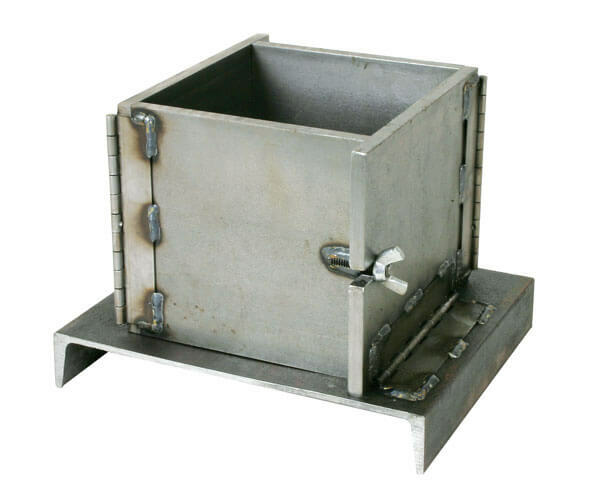 Steel Concrete Cube Mold, 6x6in (152x152mm) - Gilson Co.
HM-290 6x6in (152x152mm) Concrete Cube Mold is used to create specimens for compressive strength testing, and can also double as a container for mortar penetration and set-time tests. Its rugged steel construction includes hinged-together sides, base and ends. The mold’s wing-nut fasteners allow for quick assembly and easy removal of the mold.